John Harwood: At one point during the campaign you said about bankers, "What I’m going to do to you is fair. I’m going to do to you what you did to us." So you recently met with Jamie Dimon of J.P. Morgan, David Solomon of Goldman Sachs, what did you do to them? John Harwood: So people shouldn't take that literally? John Harwood: Are there particular issues where you think there's a very good chance that you'll be able to work with those financial institutions? Maxine Waters: I think the work that I have done already as a ranking member of the Financial Services Committee demonstrates that I'm a strong legislator and I know how to work with the opposite side of the aisle. I know when to work with the opposite side of the aisle. Maxine Waters: You have to pay attention to the way that the president himself has defined himself. He has defined himself as someone that you can't trust, that does not tell the truth, and that will change his mind and tweet something one day and the opposite the next day. It's up to the administration to determine that they need to develop the kind of credibility and trust that they can work with other people. John Harwood: I talked the other day to your old friend Barney Frank, who used to have this job, and he said, "Let's face it, there's not going to be much legislating in this Congress. It's mostly going to be about messaging." But you also have soft power. You've got the ability to use your position, to make points to regulators, to make points to industry. What do you think you can get done there? Maxine Waters: Here's what you can do effectively: You can lead your committee and define what we care about as Democrats, what I care about. We can deal with our issues. And even if they got all the way to the president's desk and he would not sign them, we're ready for 2020. John Harwood: So you're preparing arguments for your party for 2020? Maxine Waters: Oh absolutely. Yeah, I'm not depending on the president to sign legislation that may pass the House and the Senate and get to his desk. If that happens, that's fine, but we will have said to the public, "This is what we care about. This is what we are working on, and this is what we will do when we have all of the power that we need to get it done." John Harwood: You've got hearings to hold that you can make points on. 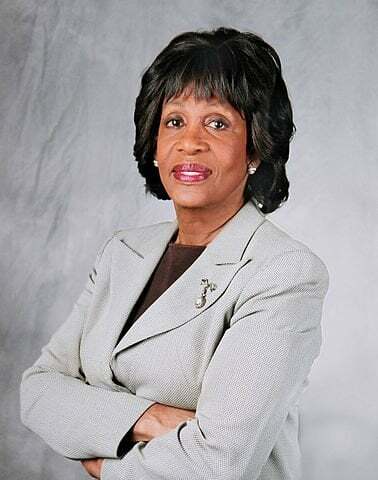 Maxine Waters: Well, if you watch what I have done in all of the hearings that I have provided leadership for the Democratic caucus and the Financial Services Committee, you will see that I have conducted myself in a way that would solicit information and have responses in a very normal way. But there have been times when I've been challenged, and I have to challenge those who are in the witness chair, or I have to demand that they respect my time. John Harwood: Do you think you can get them to change their behavior merely by having a hearing even if you can't legislate? Maxine Waters: I do think it may back some people down. It may cause some people to rethink. We'll see, because we will have credible witnesses that have never had the opportunity to share their advice, and their opinions, and their experience. Maxine Waters: I think none of us should be irresponsible in the way that we deal with financial services issues. I do know that the president does not understand this. He doesn't know the relationship of his remarks to the stock market. I also know that when you have a financial institution that comes before you, and they have been involved in activity that they have received a lot of fines for, that they continue in the activity, activity such as one bank that continued to create accounts in their client's names. John Harwood: You're talking about Wells Fargo now. Maxine Waters: I really am. It is legitimate for you to ask those questions, even if it is embarrassing. We're talking about trying to get the truth about what is going on in institutions where people have obviously been harmed, and what are you going to do about it? John Harwood: I've seen a comment or statement from you that suggested that you might want to actually put Wells Fargo out of business. Is that true? Maxine Waters: No, it's not true. Anybody that understands the importance of the banking community to the economics of our country would know that you don't just wish to put somebody out of business. It's about asking the questions about your ability to understand your own bank. It is about trying to understand why problems continue to exist and what can be done about that. Maxine Waters: I believe in our economy, we have to have banks. That's very central to the economy and the way it works. But I do believe that their interest is in making money. I believe that as a business making money is okay as long as you are not doing what we consider rip offs. We want banks to operate in such a way that they don't undermine the mission of providing credible services to the average citizens. John Harwood: What about the idea that the only obligation of a corporation is to make money for its shareholders, and that that's what makes capitalism run? Maxine Waters: If a bank, or any business feel that it's okay to do anything to make money, there's something wrong with that philosophy. Undermining, taking advantage of, overcharging, targeting, being unfair is not okay for any business, and certainly it's not okay for the banks. Maxine Waters: I don't think so. Look at what I've done on the export/import bank. I was one of their biggest advocates, and I worked very hard with some that others would not expect me to work with. I held my meetings at the chamber of commerce office in Torrance, California. This business about whether or not I can work with others, whether or not I can get along, I've proven myself. John Harwood: The reason I ask the question is you've been very critical, for example, of Ben Carson, the Housing Secretary and said that he believes that if people are poor, that's their fault. Maxine Waters: Yes, that's right. John Harwood: One of your Republican colleagues told me that you're the opposite – that you think if people don't do well, that's the system's fault, and that your principal interest is not generating growth, but redistributing money from people who have a lot of money to people who don't. Maxine Waters: Well I don't know who said that, but it's simply not true. Maxine Waters: I'm not defined in that way that I believe in redistribution because that implies that you want to take from the rich and give to the poor. I'm defined about fairness. I'm defined in a way that would create equal opportunity, not only fairness, but your government having a role and seeing to it that all of their departments and agencies are operating on behalf of all the people, and that the least of these, or just the average Joe Blow working every day is not taken advantage of. John Harwood: Your new colleague, Alexandra Ocasio-Cortez, who's going to be on your committee. She's talked about a 70% top marginal rate. There was a question about that at the Davos Conference the other day, and everyone in the room laughed like that was a ridiculous idea. Do you think it's a ridiculous idea? Maxine Waters: I know that that would be very different in the way that it is looked at now, but don't forget we have heard stories about secretaries paying more than their rich bosses. That's not right. Based on the so-called tax reform that this president did, I know this. I know that the top one percent or so was advantaged. And I know that major corporations and businesses really did reap a lot of benefits from that tax reform. You know what I'm worried about? I'm worried about that Joe Blow that goes to work every day and he's making $50,$60,$70,000 for their family and maybe they get behind and maybe they owe $10,000 or $15,000 that they need to work out payments with the IRS and they're pounded. And people like Mr. Trump, who won't show his tax returns, is able to manipulate the IRS so he's never really called to task, and he's able to take those laws and make sure that he works them in such a way that they're to his advantage. Representative Maxine Waters: We know that Deutsche Bank is one of the biggest money laundering banks in the country, or in the world perhaps. And we know that this is the only bank that will lend money to the President of the United States. He won't show his tax returns and we have a certain information that leads us to believe that there may have been some money laundering activity that might have been connected with Mr. Manafort, with some people in his family. John Harwood: Do you believe that money laundering has been a significant part of President Trump's business? Maxine Waters: I know that there are a lot of rumors. I think we need to learn more about the finances of the President of the United States, and he's hiding that information from us. We need to delve deeper into that and find out what is going on and whether or not money laundering has been involved and whether or not there are connections with the oligarchs of Russia. Maxine Waters: I believe that this is a problematic president who has proven that he has taken advantage of others. The attorney general of New York made him reimburse at least $25,000,000. We know that he has had bankruptcies. We know that there are a lot of stories he hasn't paid contractors, he hasn't paid subcontractors. We know a lot about the history of this president and it doesn't look good. John Harwood: Now, do you think that the fact that you've taken some criticism about conflicts of interest – you were on a watchdog group's list of most corrupt members of Congress – does that undercut your ability to pursue these issues? Maxine Waters: No it doesn’t. No, absolutely not. First of all, all of the questions were answered, I was totally exonerated and found not to have done anything wrong. It was simply a non-profit operation that decided that it was going to take on the responsibility of choosing members that they didn't necessarily like. But whatever they tried to do to me didn't work because it was proven that I had done nothing wrong. John Harwood: Do you think – is it plain to you right now that that's where this is headed? John Harwood: When you were born there was one African-American in Congress, just a couple of women. Now you're the chair of this committee. How does that make you feel? Representative Maxine Waters: A lot of people talk about it as if this is so unbelievable. How could this have happened? How did you do this? Well, I was taught no matter what the circumstances were, that America was a place where everybody could achieve and become what they want to become if they work hard, if they're dedicated to it. I believe that, and that's what I've done. I’ve worked hard. John Harwood: The United States' economy has – we are the richest in the world. We've made some significant gains – the black middle class is a lot bigger than it was. But we still have tremendous income inequality and wealth inequality. John Harwood: What does that tell you about what's worked, and hasn't worked, about the American economy and the American financial system? Maxine Waters: Well basically, we understand that people of color, poor people, have not had a combination of resources and wherewithal to really deal with a system that was not organized necessarily to improve them or their quality of life or invest in them. And so in understanding that, you basically understand that this wealth gap was created and that unless we pay attention, unless we work at it and understand how it happened, we wouldn't be able to change it. But some of us believe. Some of us believe that we are smart enough, that we work hard, and that we can achieve. And no matter what the system does, we're going to keep trying and we're going to keep inspiring and motivating young people to make this democracy what it should be. John Harwood: Now, you've established, as I understand it, a diversity and inclusion subcommittee on this committee. Maxine Waters: I hope that we can gather the information, do the research, and help people to understand how big the gap is and what can be done in order to close that gap. And I think, looking in the financial services community, we can put together the kind of information that help people to understand that women and minorities don't really play in this arena, and that we have to do more to close that gap. John Harwood: You're talking about executive hiring? Maxine Waters: No. I'm talking about diversity in every aspect of our society, number one, but certainly in the financial services. It is, for example, if you go to college and you study economics, or you get involved in a job that brings you to a point where you should be seriously considered for management or other high level jobs, it should be done in a fair way. Your application should not go in the wastebasket because of your color. John Harwood: So you're about encouraging, not requiring? Maxine Waters: I'm not about trying to changing any laws, necessarily. But I'm about using whatever leverage and whatever power I have to help make it happen. John Harwood: You have the most diverse 2020 presidential field in the Democratic party's history. What do you think about that and who do you like? Maxine Waters: I'm not surprised, as we emerge and we become more advanced in understanding our possibility, and understanding our influence, that we should be competing at every level - in every business, everywhere. That's what's beginning to happen. John Harwood: Do you think it's important for the Democratic party to have a nominee who reflects that diversity? John Harwood: You haven't picked a candidate? Maxine Waters: Oh no, it's too early. As a matter of fact, I wouldn't tell you now if I had.